Mara Yamauchi is a woman of many talents. In addition to her marathon running credentials, she boasts a degree from Oxford University in politics, philosophy and economics, speaks fluent Japanese, having lived in Japan for many years, and worked for the Foreign and Commonwealth Office for 10 years before making her mark on the roads. The life member of Harrow AC has always lived a rich and varied life, so has had little trouble keeping herself occupied in her retirement, filling what many ex-athletes perceive as a void in their life with coaching, blogging for Run England, motivational speaking, commentating and running to keep herself in form. “Running has had such a beneficial impact on my life over many years. I love it, and want to stay connected with the running world,” says 42-year-old Yamauchi, whose career accolades included a bronze medal in the 2006 Melbourne Commonwealth Games 10,000m, a win in the 2008 Osaka Ladies’ Marathon and a sixth place finish at the Olympics, which is the best ever by a British woman. Like many high-flyers, Yamauchi admits to becoming bored easily, so likes to keep her mind and body engaged with a variety of projects. Her many activities include working as a volunteer coach at St Mary’s College in Twickenham, coaching individuals and small groups of mostly recreational runners, as well as leading coaching workshops for clubs including through the England Athletics Flying Coach programme. She has also written blogs for Run England and is in the early planning stages to write a book. Add to that commentating in Japan and on the Virgin Money London Marathon for the BBC, motivational public speaking and running, it is clear that Yamauchi enjoys a broad portfolio of work, which together enables her to inspire large numbers of people. “This variety of work suits me well, as I really enjoy helping people and encouraging them to run and be active. I also want to show people how the skills, attributes and experiences of being an elite athlete are very relevant and useful in the workplace and the wider world,” she explains. She has been taking a close interest in the anti-doping landscape, speaking out about the injustice that exists due to the difference in testing across different countries and the medals, places, prize money and ‘moments’ that clean athletes have so often missed out on. Having achieved her childhood dream of becoming an Olympian, Yamauchi says she had looked back fondly over her career, not really feeling like she had been cheated. Having tried to return to top-level training and racing in 2014 but being unable to recover enough to sustain the training required at elite level, Yamauchi now enjoys running just to stay fit and healthy. “I need to stay fit to be able to coach and especially to be able to demonstrate drills and dynamic stretching, etc,” she says. A typical day for her includes her own training, which might involve running, cycling, occasionally swimming and strength and conditioning, plus coaching of some kind and perhaps preparing for a talk. “Of course, I also do things away from running too,” she says. “My dad was diagnosed with dementia and Parkinson’s four years ago so helping him takes up a lot of time. He was very active and loved running so it’s really sad to see him completely unable to move himself and a shadow of his former self. It makes me realise that life is short and being able to run and be active is a very special privilege,” she adds, keen to retain that sense of balance that has always been present in her life. However, she does not hide the fact that she really misses her days as an elite athlete. “To be honest, nothing really comes close to the exhilaration of training and racing when you are in great shape, and aiming for a very motivating goal,” she says. “Many elite athletes struggle after they retire. Your whole existence and identity is about you as an athlete and when that disappears, it’s a big loss to accept and come to terms with, apart from trying to get the next phase of your life going. In her efforts to move on from elite sport, Yamauchi has been working with the Dame Kelly Holmes Trust, which supports retired athletes and young adults in difficult circumstances. “It is such a brilliant organisation that is doing very valuable work, and I am very grateful for their support and for having been involved with their work,” explains Yamauchi. One thing is certain: For as long as she can remain injury-free, Yamauchi is always going to be running, as it is her passion, simply a way of life. 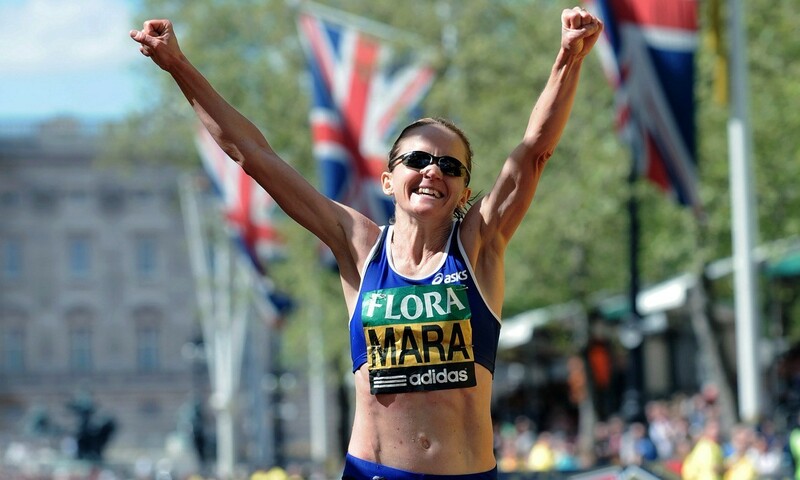 Tags: Mara Yamauchi, Marathon, Photograph by Mark Shearman, Running, Where are they now?